Just sold out. Fill the form below to get notified. Nominated for the CILIP Carnegie Medal 2017, this fantasy epic from the No. 1 NEW YORK TIMES bestselling author of the Grisha trilogy is gripping, sweeping and memorable – perfect for fans of George R. R. Martin, Laini Taylor and Kristin Cashore. Criminal prodigy Kaz Brekker is offered a chance at a deadly heist that could make him rich beyond his wildest dreams – but he can’t pull it off alone. Kaz’s crew is the only thing that might stand between the world and destruction – if they don’t kill each other first. 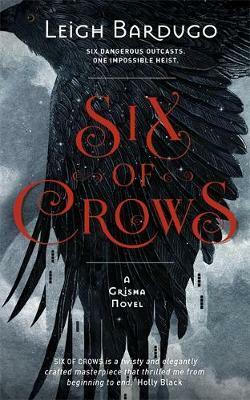 An epic new exploration of the Grisha universe from the writer of SHADOW AND BONE, SIEGE AND STORM and RUIN AND RISING, totally consuming for both old fans and new. Bonpaper is an online book shop providing original and brand new books with cash on delivery across Pakistan. Buy your favorite books from Bonpaper in best prices.